Public institutions and private sector organizations from across the country should form a coalition to help states, localities and regions develop and deploy successful and cost-effective electric demand response programs, a new Federal Energy Regulatory Commission (FERC) staff report says. The coalition effort is the centerpiece of the National Action Plan on Demand Response Report , issued today, that identifies strategies and activities to achieve the objectives of the Energy Independence and Security Act of 2007. The public-private coalition outlined in the National Action Plan would coordinate and combine the efforts of state and local officials, utilities and demand response providers, regional wholesale power market operators, electricity consumers, the federal government and other interest groups. Demand response refers to the ability of customers to adjust their electricity use by responding to price signals, reliability concerns or signals from the grid operator. Demand response is a valuable resource for meeting the nation’s energy needs. 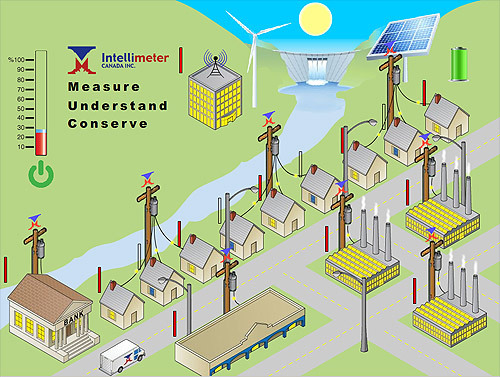 The 2007 law required FERC to identify the requirements for technical assistance to states so they can maximize the amount of demand response that can be developed and deployed; design and identify requirements for a national communications program that includes broad-based customer education and support; and develop or identify analytical tools, information, model regulations and contracts and other materials for use by customers, states, utilities and demand response providers. The National Action Plan applies to the entire country, yet recognizes Congress’ intent that state and local governments play an important role in developing demand response. It is the result of more than two years of open, transparent consultation with all interested groups to help states, localities and regions develop demand response resources. The National Action Plan on Demand Response is available at here. Editor’s Note: To learn more about the Kent State Truth Tribunal 2010, please go to www.TruthTribunal.org and pre-register to participate as well as support us with your generous donation. Thanks! From 1970 to 1980, Senator Kennedy was our single-best crusader from Congress in supporting my family’s attempts to learn the truth about the Kent State Massacre where my protesting sister, Allison Krause, was murdered. We grieve for Senator Kennedy and deeply thank him for always listening to our pain and working alongside my father, Arthur S. Krause, in his fight to have my sister’s death not be vain. Rest in peace, Senator Kennedy. Know that your compassion and tremendous life force had immense positive impact on my family and America. Kennedy was a masterful politician and an effective, aggressive reformer–he was instrumental in shaping the policies, ideology, and face of modern America. More so, as Slate argues, than any other Kennedy. And though he may have more famous achievements (immigration reform, expanding health care, civil rights for the handicapped) he was also a champion of environmental causes. Here, we pay tribute to the less celebrated–but no less important–legacy of green achievements he left behind. And it’s a pretty staggering list of achievements–from cosponsoring the first bill to put fuel economy standards in place, to tightening regulations on oil companies, to fighting to keep ANWR safe, to being an early proponent of renewable energy promotion, Kennedy has a long history of championing green causes and protecting the environment. Holding Oil Companies Accountable During consideration of a 1975 tax cut proposal, Kennedy introduced a provision targeting the oil depletion allowance, which since 1926 had enabled oil producers to exclude 22 percent of their revenues from any taxes. 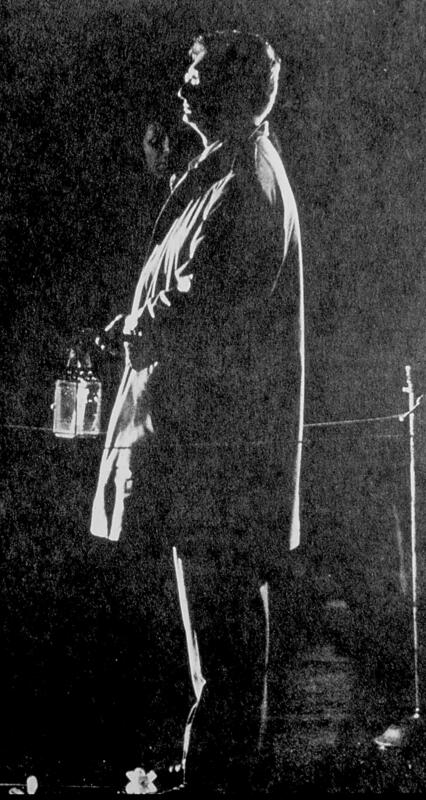 Kennedy’s initiative passed overwhelmingly, trimming the allowance for independent producers and ending it for the major oil companies. Senator Kennedy has a long and distinguished record supporting clean renewable sources of energy and reducing the nation’s reliance on fossil fuels. More than 30 years ago he cosponsored the first law to establish fuel economy standards. And in 2007, he supported a law which increased fuel economy standards, which is essential to cutting greenhouse gas emissions. Senator Kennedy was a strong proponent of increasing energy efficiency, which is an essential part of reducing greenhouse gas emissions. He was a long time supporter of programs like the weatherization assistance program and the Low-Income Home Energy Assistance Program that helps those most in need reduce their energy bills by improving home energy efficiency. In 2001, Senator Kennedy was a lead sponsor of the Brownfields Revitalization and Environmental Restoration Act, which authorized funds for assessment and cleanup of brownfield sites. Of course, he did much more in his six terms as senator, but there’s not room to print the entire list here. But it’s safe to say that the US is a greener place thanks to his efforts. 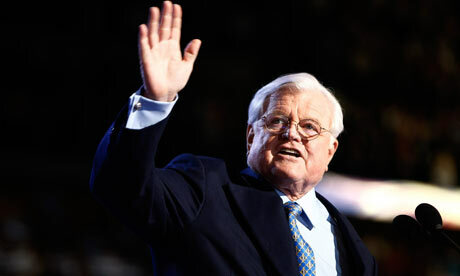 Ted Kennedy was one of the most powerful, respected, and influential senators in US history–his progressive vision and will be sorely missed. Just north of the Colorado-New Mexico border, in the sunny expanses of my native San Luis Valley, America’s clean energy future is taking root. Under President Obama’s leadership, four tracts of land in southern Colorado and two dozen tracts across six Western states may soon be supplying American homes with clean, renewable electricity from the first large-scale solar power projects on our nation’s public lands. The 24 Solar Energy Study Areas that Interior is evaluating for environmentally appropriate solar energy development could generate nearly 100,000 megawatts of solar electricity, enough to power more than 29 million American homes. The West’s vast solar energy potential – along with wind, geothermal and other renewables – can power our economy with affordable energy, create thousands of new jobs and reduce the carbon emissions that are warming our planet. As President Obama has said, we can remain the world’s largest importer of oil or we can become the world’s largest exporter of clean energy. The choice is clear, and the economic opportunities too great to miss. Will we rise to the challenge? It is time that Washington step up to the plate, just as states like Colorado and local governments are already doing. Congress must pass strong and effective legislation that will steer our nation toward a clean energy economy that creates new jobs and improves our energy security. We will not fully unleash the potential of the clean energy economy unless Congress puts an upper limit on the emissions of heat-trapping gases that are damaging our environment. Doing so will level the playing field for new technologies by allowing the market to put a price on carbon, and will trigger massive investment in renewable energy projects across the country. We are also seeing the dangerous consequences of climate change: longer and hotter fire seasons, reduced snow packs, rising sea levels and declines of wildlife. Farmers, ranchers, municipalities and other water users in Colorado and across the West are facing the possibility of a grim future in which there is less water to go around. But with comprehensive clean energy legislation from Congress, sound policies and wise management of our nation’s lands and oceans, we can change the equation. That is why I am changing how the federal government does business on the 20% of the nation’s land mass and 1.75 billion acres of the Outer Continental Shelf that we oversee. We are now managing these lands not just for balanced oil, natural gas, and coal development, but also – for the first time ever – to allow environmentally responsible renewable energy projects that can help power President Obama’s vision for our clean energy future. American business is responding to these new opportunities. Companies are investing in wind farms off the Atlantic seacoast, solar facilities in the Southwest and geothermal energy projects throughout the West. We need comprehensive legislation that will create new jobs, promote investment in a new generation of energy technology, break our dependence on foreign oil, and reduce greenhouse gas emissions. Let us rise to the energy challenges of our time. WASHINGTON – Congress should give the federal government more authority to approve extra powerful transmission lines to move electricity generated by renewable sources, overriding state objections when necessary, a top energy regulator said on Thursday. Broader federal authority would help meet President Barack Obama’s goal of doubling U.S. production of renewable energy like solar and wind power in the next three years, said Jon Wellinghoff, acting chairman of the Federal Energy Regulatory Committee. This could help cut greenhouse gas emissions spewed by coal-fired power plants that contribute to global warming, he said. The timely siting of electric transmission facilities will be essential to meeting our nation’s goal of reducing reliance on carbon-emitting sources of electric energy and bringing new sources of renewable energy to market,” Wellinghoff said at a Senate Energy Committee hearing on new transmission lines. At the end of the day if there is a state who blocks a line that’s in the national public interest I think, unfortunately, there needs to be a federal override,” he said. Congress gave FERC authority to site and permit electric transmission lines crossing state borders within important corridors with grid congestion. But a federal court ruled FERC cannot use this authority if a state denies a transmission project in a timely manner. Without broader federal siting authority … it is unlikely that the nation will be able to achieve energy security and economic stability,” Wellinghoff said. Sen. Jeff Bingaman, Democrat of New Mexico, chairman of the energy committee, agreed FERC’s current siting authority is insufficient. 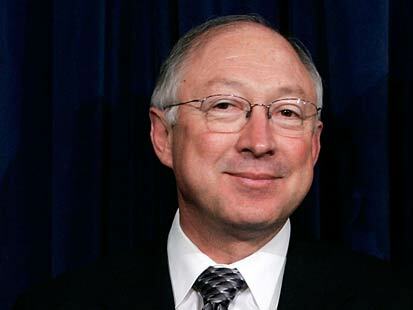 It does not apply to most of the country and does not take into account future need,” he said. Senate Majority Leader Harry Reid, Democrat of Nevada, has introduced legislation to give the government broader siting authority for new power lines for renewable energy. Reid, who also testified at Thursday’s hearing, later told reporters he wanted to roll that bill along with a new national renewable electricity standard into climate change legislation. The bill he envisions would cap U.S. greenhouse gas emissions and require power plants, oil refineries and other industrial facilities to buy permits to emit carbon polluting emissions. Reid said he hoped the combined bill would clear the Senate this summer. He said he would consider tacking the bill on to budget reconciliation legislation the Senate could pass with a simple majority, without needing 60 votes to stop a filibuster. Senator Lisa Murkowski of Alaska, the top Republican on the energy panel, said she opposed combining the energy and climate change bill and folding it into budget legislation. I also strongly disagree with attempts to do an end run around Congress and mandate what would be the biggest change in our energy policy in the nation’s history through the budget reconciliation process,” she said. The recently approved Economic Stimulus Plan includes expanding the US electric transmission grid and this may be the just the start of what will be a costly effort to improve reliability and deliver renewable energy to consumers from remote locations, Federal Energy Regulatory Commission (FERC) Acting Chairman Jon Wellinghoff told the Platts Energy Podium on February 12, 2009. While details of the plan compromises are unclear, the measure could provide $10 billion or more to transmission upgrades. Wellinghoff said backbone transmission projects could cost more than $200 billion. “And I think we’ll see that money coming from the private sector,” based on proposals already submitted to FERC. Wellinghoff’s focused on Congress strengthening federal authority to site interstate high-voltage electric transmission lines to carry wind power to metropolitan areas and expects FERC to be heavily involved in formulation of either a comprehensive energy bill or a series of bills meant to address obstacles to increasing renewable wind, solar and geothermal energy, and other matters that fall within FERC’s purview. Wind and solar energy have been growing at a blistering pace in recent years, and that growth seemed likely to accelerate under the green-minded Obama administration. But because of the credit crisis and the broader economic downturn, the opposite is happening: installation of wind and solar power is plummeting. Factories building parts for these industries have announced a wave of layoffs in recent weeks, and trade groups are projecting 30 – 50% declines this year in installation of new equipment, barring more help from the government. Prices for turbines and solar panels, which soared when the boom began a few years ago, are falling. Communities that were patting themselves on the back just last year for attracting a wind or solar plant are now coping with cutbacks. “I thought if there was any industry that was bulletproof, it was that industry,” said Rich Mattern, the mayor of West Fargo, N.D., where DMI Industries of Fargo operates a plant that makes towers for wind turbines. Though the flat Dakotas are among the best places in the world for wind farms, DMI recently announced a cut of about 20% of its work force because of falling sales. Much of the problem stems from the credit crisis that has left Wall Street banks reeling. Once, as many as 18 big banks and financial institutions were willing to help finance installation of wind turbines and solar arrays, taking advantage of generous federal tax incentives. But with the banks in so much trouble, that number has dropped to four, according to Keith Martin, a tax and project finance specialist with the law firm Chadbourne & Parke. Wind and solar developers have been left starved for capital. “It’s absolutely frozen,” said Craig Mataczynski, president of Renewable Energy Systems Americas, a wind developer. He projected his company would build just under half as much this year as it did last year. The two industries are hopeful that President Obama’s economic stimulus package will help. But it will take time, and in the interim they are making plans for a dry spell. Solar energy companies like OptiSolar, Ausra, Heliovolt and Sun Power, once darlings of investors, have all had to lay off workers. So have a handful of companies that make wind turbine blades or towers in the Midwest, including Clipper Windpower, LM Glasfiber and DMI. Some big wind developers, like NextEra Energy Resources and even the Texas billionaire T. Boone Pickens, a promoter of wind power, have cut back or delayed their wind farm plans. Renewable energy sources like biomass, which involves making electricity from wood chips, and geothermal, which harnesses underground heat for power, have also been slowed by the financial crisis, but the effects have been more pronounced on once fast-growing wind and solar. Because of their need for space to accommodate giant wind turbines, wind farms are especially reliant on bank financing for as much as 50 percent of a project’s costs. For example, JPMorgan Chase, which analysts say is the most active bank remaining in the renewable energy sector, has invested in 54 wind farms and one solar plant since 2003, according to John Eber, the firm’s managing director for energy investments. The turnaround reflects reduced demand for solar panels, and also an increase in supply of panels and of polysilicon, a crucial material in many panels. On the wind side, turbines that once had to be ordered far in advance are suddenly becoming available. “At least one vendor has said that they have equipment for delivery in 2009, where nine months ago they wouldn’t have been able to take new orders until 2011,” Mr. Mataczynski of Renewable Energy wrote in an e-mail message. As he has scaled back his company’s plans, he has been forced to cancel some orders for wind turbines, forfeiting the deposit. Banks have invested in renewable energy, lured by the tax credits. But with banks tightly controlling their money and profits, the main task for the companies is to find new sources of investment capital. Wind and solar companies have urged Congress to adopt measures that could help revive the market. But even if a favorable stimulus bill passes, nobody is predicting a swift recovery. The solar and wind tax credits are structured slightly differently, but the House version of the stimulus bill would help both industries by providing more immediate tax incentives, alleviating some of their dependency on banks. Both House and Senate would also extend an important tax credit for wind energy, called the production tax credit, for three years; previously the industry had complained of boom-and-bust cycles with the credit having to be renewed nearly every year. Over the long term, with Mr. Obama focused on a concerted push toward greener energy, the industry remains optimistic.